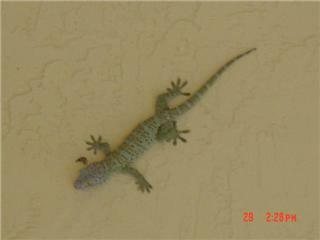 My cousin in Miami snapped this pic of this lizard/gecko that has been breeding up a storm around her house. This particular lizard/gecko is one of the juvenile ones. Any help with ID would be appreciated.